Much focus has been devoted to satellite interference recently, as well it should be. Interference is a serious issue for satellite operators and the problem will likely worsen. 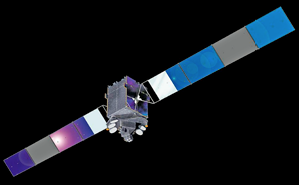 Artistic rendition of XTAR-EUR X-band services satellite. Image is courtesy of XTAR. The increase in number of satellites orbiting, the rise of High Throughput Satellites (HTS) employing multi-spot beams and the reduction in antenna size all mean that the potential for interference will only increase. When discussing satellite interference, the tendency is to categorize it into two main types that users typically encounter; adjacent satellite interference and accidental interference. When government or military users experience either form of interference, their mission is delayed and in some cases endangered. Time is lost and, in many instances, additional funds must be spent to remedy the problem. 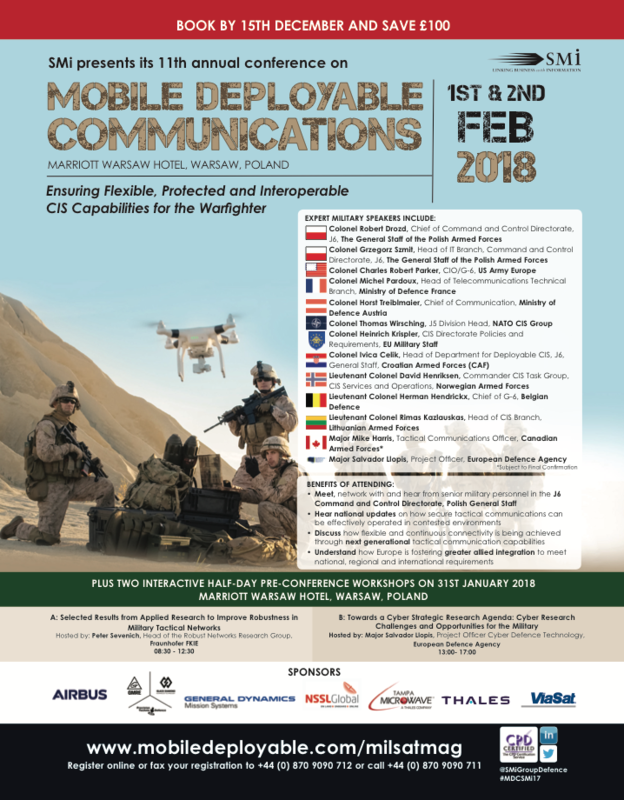 To decrease the chance of any type of satellite interference, government and military users should rely on those frequencies dedicated solely to their use, such as Mil-Ka-band and X-band. These frequencies have natural advantages that automatically translate into a lower chance of interference and therefore a greater chance to complete the mission. When a user experiences interference, they are often assigned a new frequency, but it’s not always possible to do so if there is no other frequency available. Finding the source of the interference can often be difficult, and in many cases, is never discovered. Regardless of the type of interference or its cause, it can be a nuisance in the best-case scenario and a disaster in the worst. Adjacent Satellite Interference (ASI) often occurs when using small terminals, typically sub-1.0 meter, a common size for Comms-On-the-Move (COTM) or Comms-On-the-Pause (COTP) situations. This is due to beam size; the smaller the terminal the wider the beamwidth. Therefore, small terminals are more prone to transmitting and receiving ASI. Commercial band satellites, such as Ku- and Ka-band, are typically spaced apart at two degrees (sometimes even closer). This spacing makes users with small terminals vulnerable to ASI, as their beamwidths are larger than two degrees. In example, a parabolic Ku-band antenna smaller than about 0.8 meters would have a 3 dB beamwidth larger than two degrees in the transmit direction. To avoid transmitting ASI, the EIRP spectral density (a measure of radiated power per unit bandwidth) is strictly limited in Ku- and commercial Ka- frequency bands. To stay within these limits, users must often use a technique called spread spectrum. Spread spectrum allows a user to transmit the higher EIRP often needed by a small terminal to close a link by spreading the power over a larger bandwidth. However, doing so increases cost. The result of spreading the signal can double, triple or quadruple the amount of bandwidth required. With this significant increase in bandwidth, the user may experience a cost higher than what might have been expected. 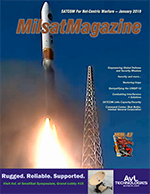 Orbital slots for satellites using military frequencies (X-band and Mil-Ka) are typically spaced four degrees apart (twice the spacing as their commercial counterparts). This wider spacing allows the coordinated EIRP density limits to be significantly higher than those at Ku-band and commercial Ka-band. The higher EIRP density limits allow even smaller sub-meter terminals to transmit, in most cases, without the need to use spread spectrum. The second type of interference is accidental. The most common types of accidental interference occur when a user accidentally transmits at the incorrect frequency or transmits on the incorrect polarization. Through the company’s experience providing X-band, noted is that there is a significantly smaller base of users, as the frequency is reserved for military and other government users. While a smaller base of users creates a smaller chance of causing accidental interference, it is also true that when interference does occur, there is a smaller base of users to contact to correct the issue. Cross-pol interference is a specific type of accidental interference and occurs when a terminal transmits at the correct frequency, but on the opposite polarization from that assigned. It is here that military frequency bands have a distinct advantage. Ku-band and some commercial Ka-band operates with linear polarization and, to avoid interference, users must ensure their feed is properly aligned, either vertically or horizontally. This alignment of the feed on the terminal can be affected by wind or snow from a strong storm. From the misalignment, that user’s signal can begin to bleed into the cross-pol transponder and into another user’s signal. In contrast, X-band and Military Ka-band both use circular polarization which does not require alignment. Therefore, users do not have to be concerned about the accidental misalignment of the antenna feed. A discussion on interference would not be complete without mentioning jamming. Jamming is, of course, purposeful interference. With frequencies that are reserved for government and military use, we see a smaller chance of interference due to jamming. Commercial Ku- and Ka-band equipment that can be used for jamming is readily available. In contrast, terminals operating at the military frequency bands are less available to those seeking to do harm and are mostly under the control of the military. This means there is less likelihood that rogue militants would be able to jam communications on a satellite using military frequencies. As more and more technologies arise, unfortunately the chance for interference also rises. Much discussion and effort have been devoted to mitigating interference. Nowhere is this more important than for the military user. By using those frequencies specifically dedicated to the military and government user, the chances for interference are naturally reduced. Founded in 2001, XTAR, LLC is the first commercial satellite operator to provide services in the X-band frequency. XTAR is a privately owned company backed by majority shareholder Loral Space & Communications of New York. XTAR also enjoys investment and support from minority shareholder Hisdesat Strategic Services SA. XTAR launched its fleet without government funding, employing its own technical and financial resources for a system that is reserved exclusively for the benefit of the government user. Countries around the world trust XTAR to support critical services such as border security and information gathering.